While it’s very doable for everyone to share the same admin credentials for WHMCS, or what’s more, share Reclaim’s credentials. But we recommend creating an Admin account for everyone working on the project. That way if something isn’t working properly, you can check the user log as a form of troubleshooting, figure out who last made changes to a given account, and then follow up with them about the steps they took. You may be asked to enter your admin credentials to move forward. On the next page, click Add New Administrator. 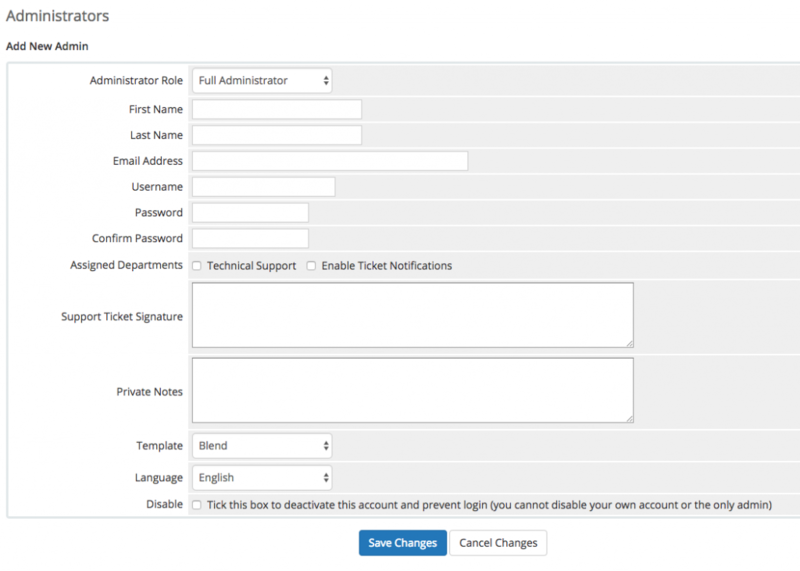 It’s important to note that the Administrator Role should be set to Full Administrator and the user should be given a user that coincides with their name. If you need to check out user logs on a given account, go to a client account and click the Log tab. It will give you a date and description of the action, along with the user that made the action.